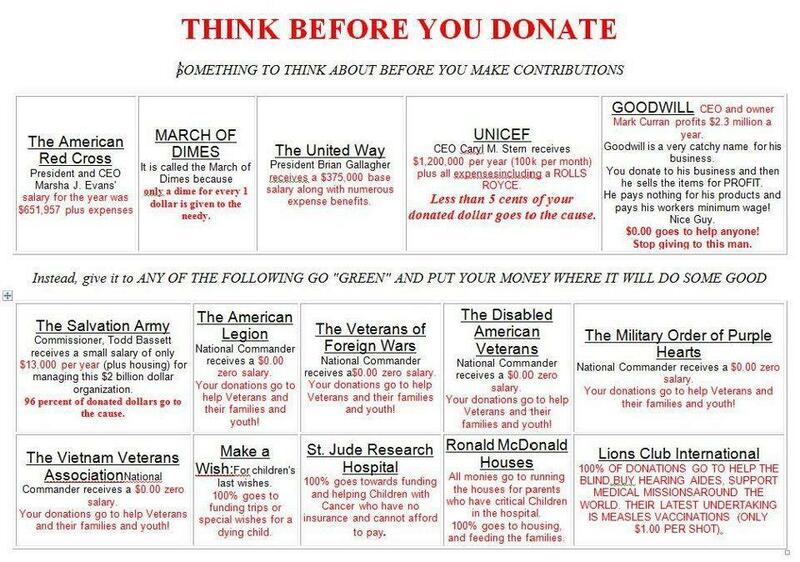 Changing the Way We Think of Charity! Charities and goodwill are changing, not only in Canada, but worldwide. And they are changing for a wide range of reasons, some good and some bad. Canada is now experiencing what has been referred to as “charity chill“. Charities who may have an ideology that is oppositional to our government are now being threatened through an audit process. They run the risk of losing their non-profit status if they are found to be in non-compliance with their own mandate. The chances of this happening are very slim but the resources and time required to adhere to the demands of these audits could effectively drain all of the limited resources of many small non-profits. The benefits of being a non-profit charity are slowly being eroded. When your message is threatened by ideology is it still worth it to be a non-profit organization? Donations to non-profits have been on the decline for sometime as well in Canada. No surprise when you start to look at the demographics. Our parents gave to charities because it made them feel good and they believed they were doing right. And they were in their day, however times have changed. We now have a new generation of individuals who are more informed and want to have more involvement than simply writing a cheque. The tax write off for a charitable donations has become so low (about 19% of the donation) it is hardly worth the paperwork. That’s peanuts when you consider that 75% of a political donation can be used as a tax write off. Is this what being “non-profit” is about? And when you see information like that to the right you really begin to question just how much charity is really happening in the world of non-profits. When more than 60% of funds raised are being bled out before they even get close to being transfused into the bleeding then it is no longer charity, it’s exploitation. Now I have worked for a number of non-profits and I can honestly say there are many non-profits out there who come nowhere near to these pay rolls but, like it or not, the business of non-profit is just that, BUSINESS. That is why professional fund raising has become a multi million dollar industry in this country. I have known a number of smaller non-profits who lost money on fund raising events because the fund raising company was guaranteed their money first. The silver lining behind all of these black clouds is a new approach to the charitable industry. In fact I don’t even like to call it “charitable” so lets reframe it and use the word “empower”. The idea of a for profit charitable business should not surprise anybody. It should be seen as a move forward. It is for Michael Lavigne and OpenForChange, a concept built on the foundations of social entrepreneurism. A charitable company designed to engage their supporters (shareholders) by participating directly in the decision and delivery process. It is more of a coop of goodwill but without the threats that so many non-profits have to deal with. OpenForChange will never have to worry about protecting their charitable status, they don’t have one. They will never have to worry about a threat over their ideology because their ideology is governed by their shareholders. They will never have to worry about disgruntled members stacking an AGM to take over the organization and undermine the desires of the founders. OpenForChange is run like a business because it is a business and their product is the betterment of their community. Michael admits to having grown up in a privileged environment and enjoyed the affluence life style his parents offered him. Only recently did he start to recognize a need to give back to the community. Through his network of friends and acquaintances he began to realize he had more to offer his community than he originally thought. However it did mean shedding thirty years of beliefs in order to make it work. He had to shed what he had been to become the person he wants to be. In a nutshell he wanted to define himself through his actions rather than what he felt other people thought he should be. Now, with the assistance of a handful of dedicated individuals, Michael is launching a for profit business dedicated to charitable endeavours. His product, goodwill, his currency, people power. Every investor is responsible for it’s success. They contribute in every way to the outcomes and the “bottom line”. This is the new age and new approach to empowering our communities. Michael is building a dream by using social conscience. Do you want to share in that dream? Watch for the launch of the website as we usher in a new generation of giving. This is the next step from the pay it forward movement. Are you open for change? This entry was posted in Entrepreneurship, Non-profits, Social media and tagged enterprising non-profits, Just one man's opinion, Michael Lavigne, Open For Change, social change, social entrepreneurism, Terry Wiens. Bookmark the permalink. ← Who Says Charity Has to be Non-Profit?